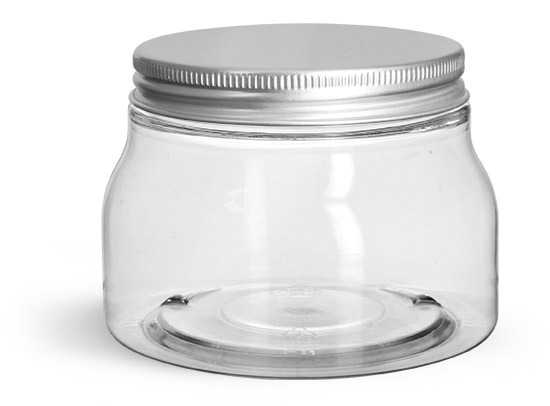 These clear PET square cosmetic jars with F217 lined aluminum caps are the perfect way to package your own bath and body care line. 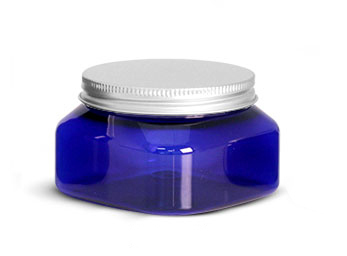 The lined aluminum caps provide the perfect seal to protect the scent of your product while the clear PET provides the perfect way to show off the color of your product. Please be sure to test all containers with your product for proper compatibility.